A city break in New York could be just what you need to relax and have some urban fun this spring or summer. 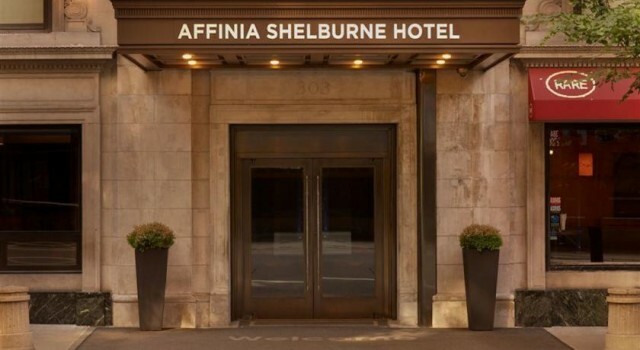 The Shelburne NYC hotel is on sale now, so you can book it from $195 a night, paying up to $50 less compared to average rates. This chic 4 star Affinia hotel is located on the Lexington Avenue at 37th street, in the Murray Hill area of New York. The neighborhood is full of life, it is home to a lot of young professionals and has fashionable restaurants and bars. 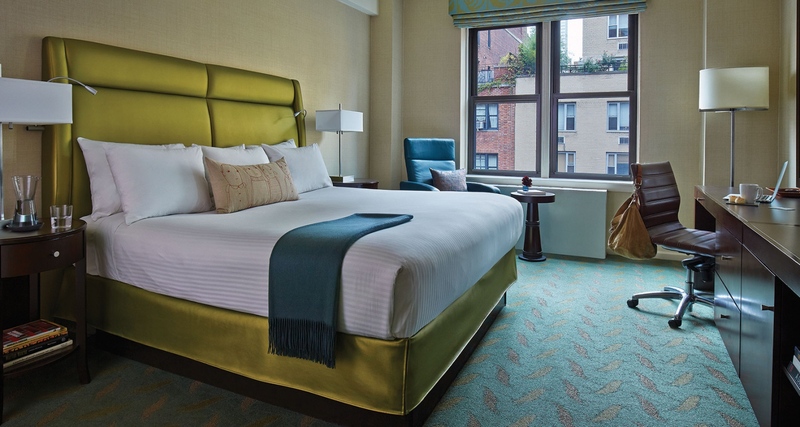 The comfortable rooms and suites of Shelburne NYC hotel have modern, eclectic interiors. You can choose from Signature Affinia king, one queen or two queen beds in the accommodations that also feature flat screen TV, work space, oversized mirrors, Wireless Internet access, two line phone with voicemail and eco friendly bath amenities in the bathroom. Thanks to the Affinia Junior program, the hotel is now more kid and family friendly than ever. If you book a family friendly stay your kids will get coloring sheets, colorable pillows, chest filled with board games, special sundries and more. The gym of Shelburne NYC hotel has got modern cardio equipment and weights. 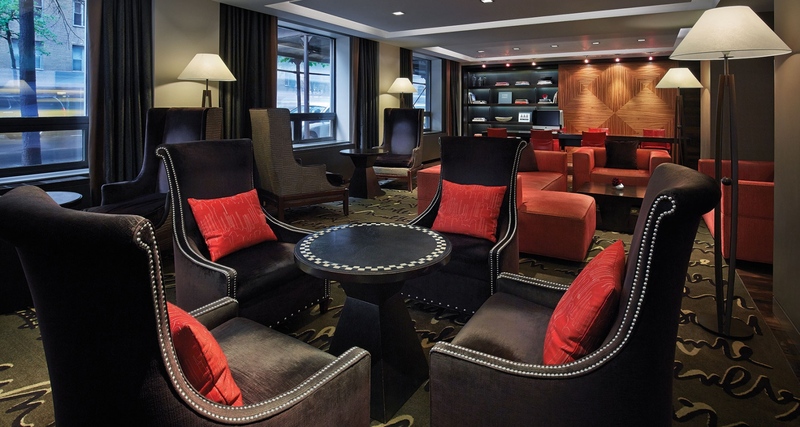 To get a nice burger or another classic American fare, you have to go no further than the lobby. The Rare Bar and Grill is a casual place that uses surprise ingredients for these classics, like salmon or shrimp. Pets are also welcome at the Shelburne NYC, you can even book a pet friendly stay in the New York hotel and get food and water bowls, large pet bed, toys for cats and dogs and even dog stairs. Book this New York hotel if you like it, but first check if you can find a better deal of similar features. Pick out some of the merchants you know and compare their prices for the travel dates you had in mind.